Sunaina Khera launches her new collection - "A Long Way Home"
Inspired from her own life journey, her collection revolves around the evolution of different stages of grief—the human ability to overcome loss and accept the change; and although it takes a lot away from us, it also leaves us much stronger than ever. The first stage of grief 'Denial' is characterized by the inability to accept the facts; the mind creates an emotional veil to protect us momentarily from the shock. 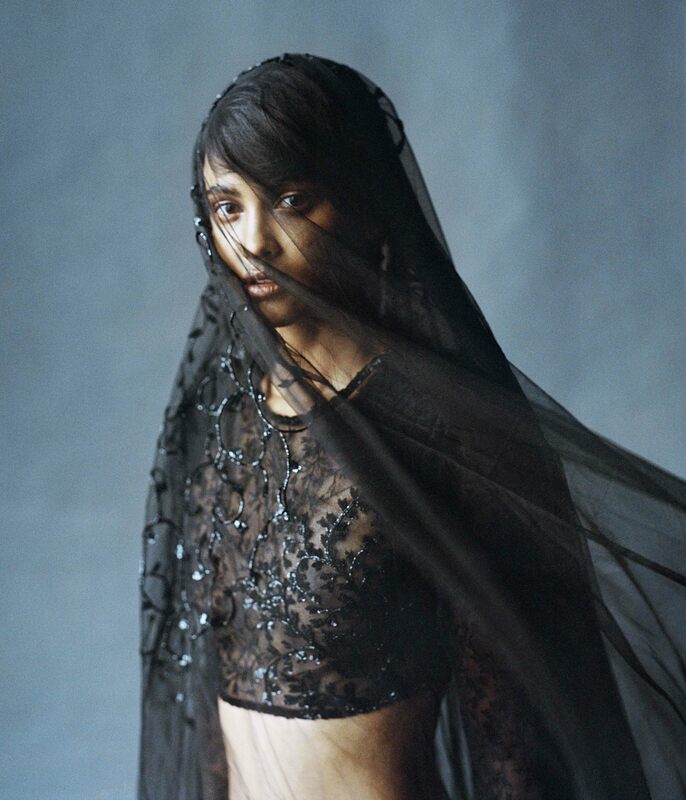 Illustrating these abstract notions in a physical sense, are transparent sheer fabrics such as tulle, veils, and tone on tone embroidery in dark hues of blacks and greys. The second stage of grief is depicted by 'Anger'— that loud expressive emotion that dulls down everything. Signifying the same are bold colors such as violets and reds, along with gorgeous sequins and a sprinkling of lace. Staying true to their ideologies, the collection features easy, breezy silhouettes with a dash of understated glamour. 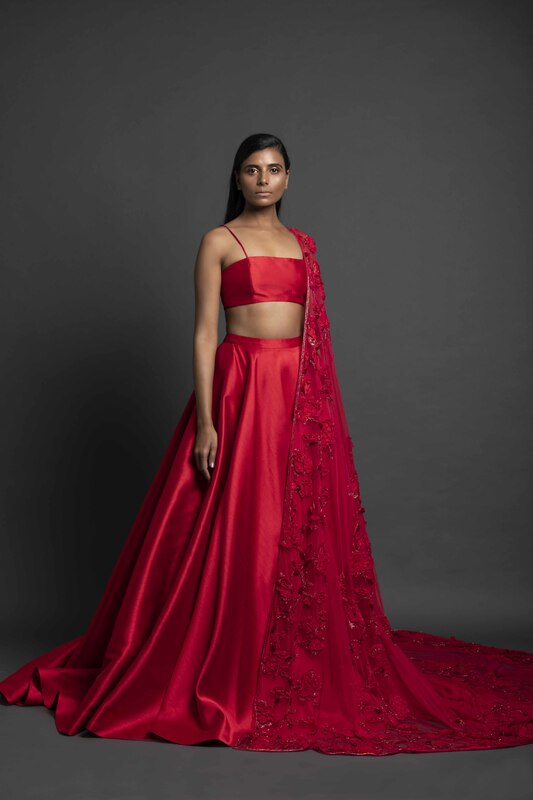 Constituting mostly evening wear, the collection includes edgy blazer dresses, feminine slip dresses, elegant tiered skirts, statement tops and chic lehengas in Organza, silk, and tulle. The color palette ranges from dark hues such as black and navy to sparkling whites, delicate pinks, and cheerful tangerines. For the first time, paisley and hand embroidered sequins have been used throughout the collection, signifying the evolution of grief through the stages.